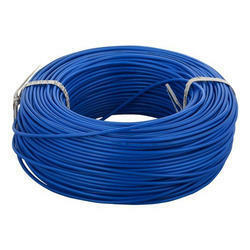 Offering you a complete choice of products which include submersible flat cable, submersible motor flat cable, electrical submersible flat cable, industrial electric cable wire, finolex cables and fybros wires and cable. Owing to the wide experience in this domain, we are instrumental in offering Submersible Flat Cable to our clients. Manufactured from bright-annealed 99.97% pure bare copper conductors these cables have low conductor resistance. The inner cores are insulated with a special grade PVC compound formulated and manufactured in-house. The tough robust outer PVC jacket protects it from the oils, greases, various chemicals and abrasions, thereby giving long life and electrical safety. 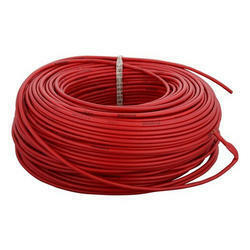 The PVC insulated and sheathed 3 core flat cables are used for giving electrical connection to the submersible pump motors. These are manufactured keeping in mind the severe, tough and difficult conditions in which they have to operate. The slot available in the tube well-being narrow the shape of the cables has to be suited for such an application. Leveraging the skills of our qualified team of professionals, we are instrumental in offering a wide range of Submersible Moter Flat Cable. 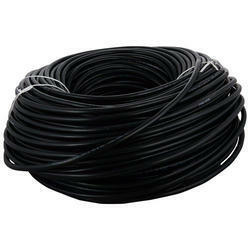 We have carved a niche amongst the most trusted names in this business, engaged in offering a comprehensive range of Submersible Moter Flat Cable. Matching up with the ever-increasing requirements of the customers, our company is engaged in providing Electrical Submersible Flat Cable. We bring forth vast industrial experience and expertise in this business, involved in offering a high-quality range of Industrial Electric Cable Wire. 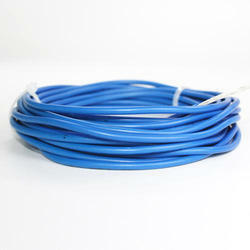 We are the leading supplier of Finolex Cables made available to our clients at competitive prices. 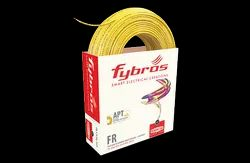 We are the leading supplier of Fybros Cablesmade available to our clients at competitive prices.